Strong vehicle sales in the world's most important car market have been essential in enabling German carmakers to end their third quarters on a positive note. Their dependence on China is expected to increase further. Germany's top carmakers would not have been able to present positive third-quarter results without a booming auto market in China, a study by consultancy EY showed Tuesday. It said China had long become the most important market for Volkswagen, BMW and Daimler, with one in three of their cars sold in the third quarter having gone to the Asian nation. To be more precise, the Chinese market accounted for 34 percent of Germany's overall car sales between July and September, the highest ever rate logged so far. Back in 2010, only 23 percent of Germany's quarterly car sales ended up in China. The car market in the world's second-largest economy helped German carmakers book decent earnings and a rise in revenues in the period under review. According to EY, Volkswagen successfully defended its dominant position on the Chinese market among foreign carmakers, shifting a total of 1.1 million vehicles in the third quarter. General Motors was a close second with 1.0 million cars sold to China in Q3. "The fast-growing Chinese car market results in foreign auto producers becoming more dependent on the Asian nation," EY's Peter Fuss said in a statement. "But German manufacturers can certainly not afford to neglect this market." This is all the more true since German carmakers saw their third-quarter sales drop by 1 percent in the US, while they stagnated in Western Europe. 27% of all new passenger cars sold worldwide are sold in China, though Q1 car sales there fell. But German premium carmakers have been able to buck that trend. They unveiled many world premieres at the Auto Shanghai. German carmaker BMW is looking at expanding its investment in China, as it moves deeper into electric and self-driving vehicles. 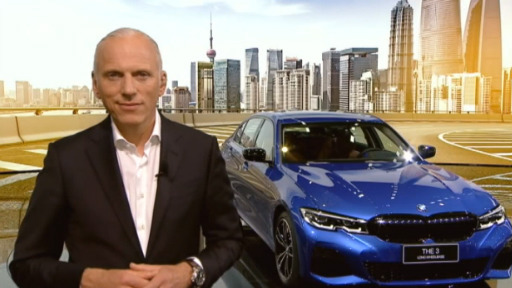 From the Shanghai auto show, BMW board member Pieter Nota spoke to DW's Gerhard Elfers.